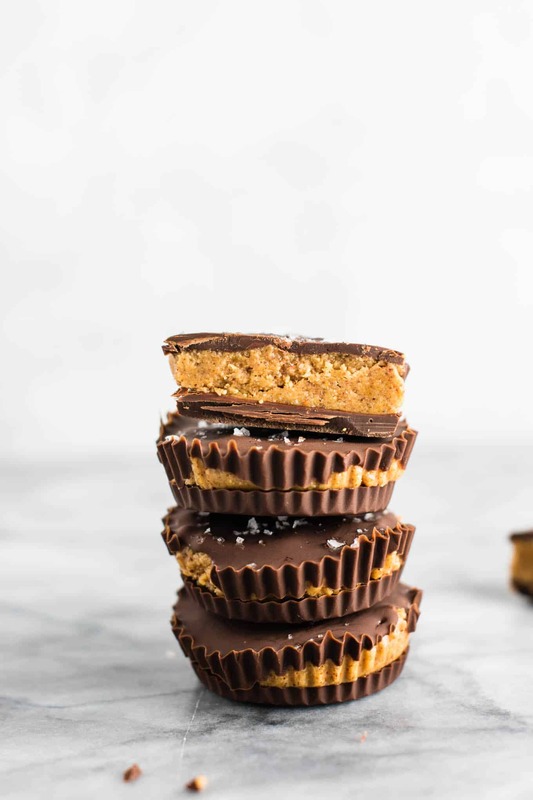 Every time I make my vegan peanut butter cups, they disappear so fast I can’t even keep up! Since that recipe was so well loved, I decided to make a similar recipe using almond butter. 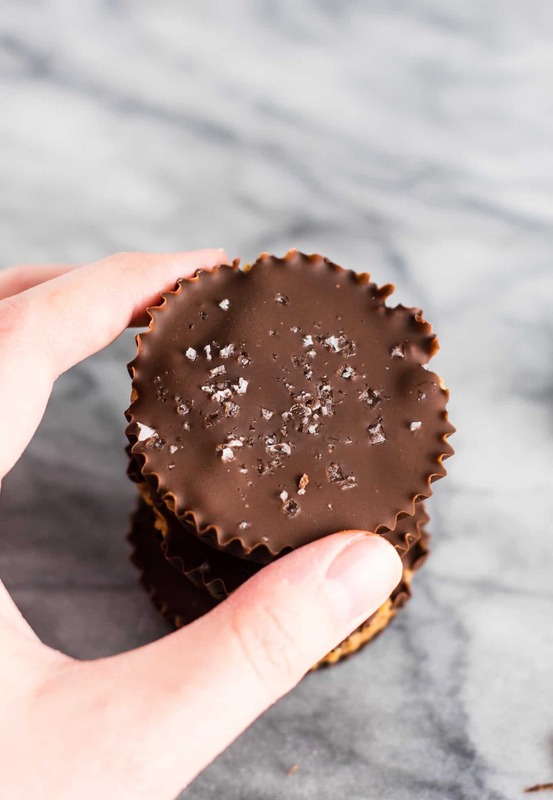 These chocolate almond butter cups are just as good as their peanut butter friends, and daresay I think I might like them even better! 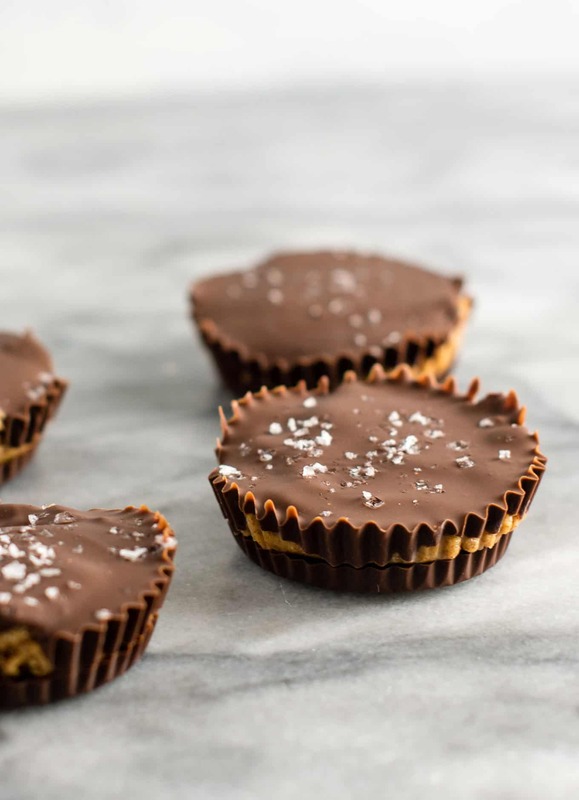 Honestly, I’m not a huge almond butter lover, but between this recipe and my almond butter chocolate chip cookies, it’s safe to say my mind has been changed. First, melt together chocolate chips and coconut oil in a sauce pan. You can use a double boiler method, but honestly this way is simpler and if you watch it closely it will not burn. 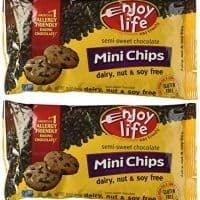 You can use dark chocolate chips of semi sweet, which is what I opted for. Once your chocolate and coconut oil is melted, stir in your vanilla extract. Add two teaspoons of the chocolate mixture to the bottom of 12 muffin tins, lined with muffin liners. 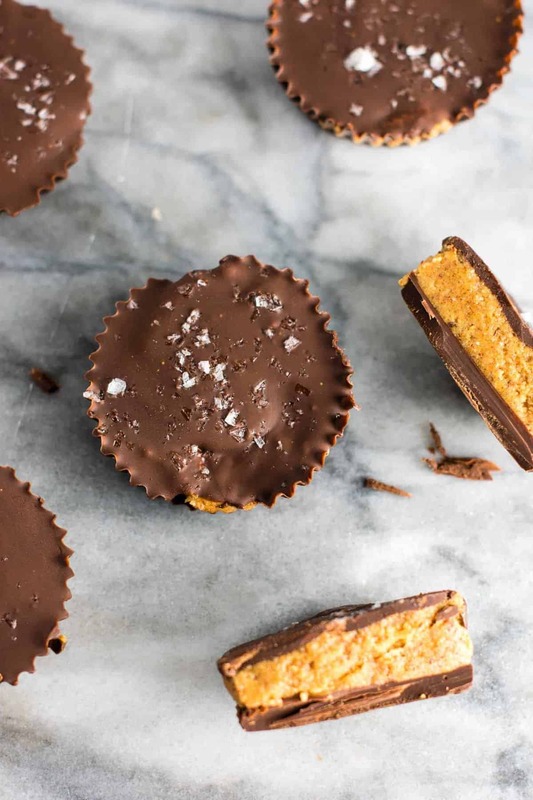 Place muffin tin in the freezer until chocolate is set, around 10 – 15 minutes. While your chocolate is hardening, make the almond butter mixture. 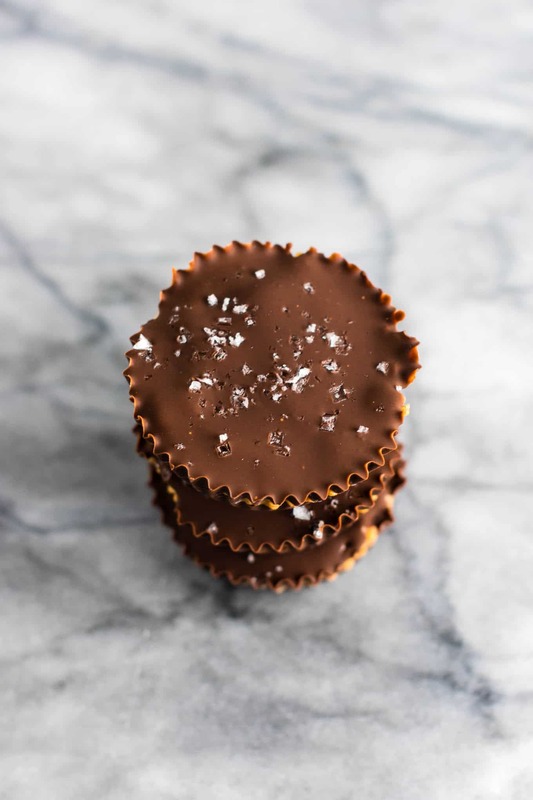 Remove chocolate from freezer and distribute almond butter filling evenly into the 12 muffin tins, pressing down to make it flat. 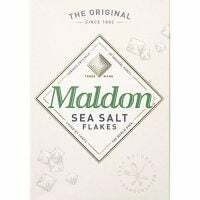 Pour remaining chocolate over the tops and sprinkle generously with flaked sea salt. Return to the freezer for around 15 minutes, or until hardened. The flaked sea salt on top really puts the flavor on a new level. 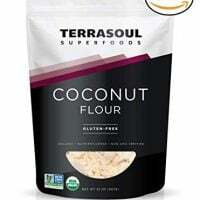 If you have yet to try it, I cannot recommend it enough for desserts. 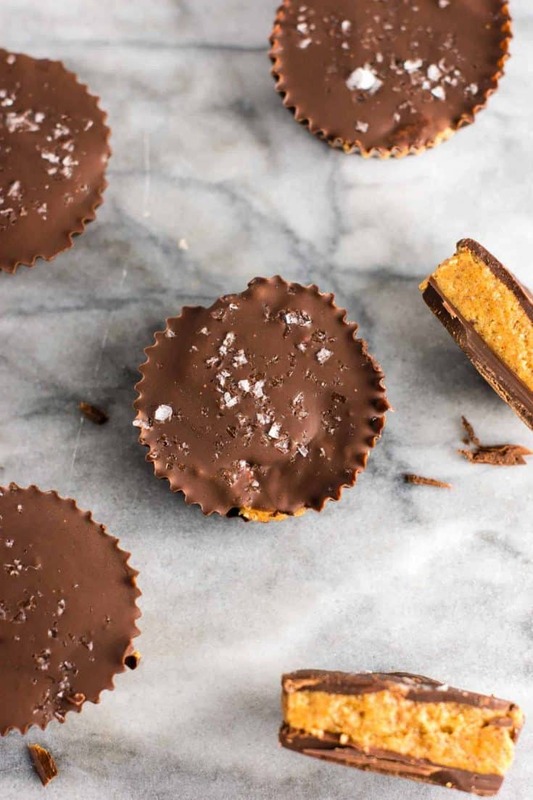 Perfect for getting your salty + sweet fix and really elevates all of the other flavors. I made these two days ago and there is only one left. They definitely will not last long! These nut butter are naturally vegan, gluten free, dairy free, and grain free. Did you make this recipe? Be sure to leave a comment below!